Bauway herbstick deluxe vape kit, resistance range from 0.65ohm to 0.75ohm, can hold 0.5g dry herb, the bauway dry herb kit built-in 2200mahbattery. 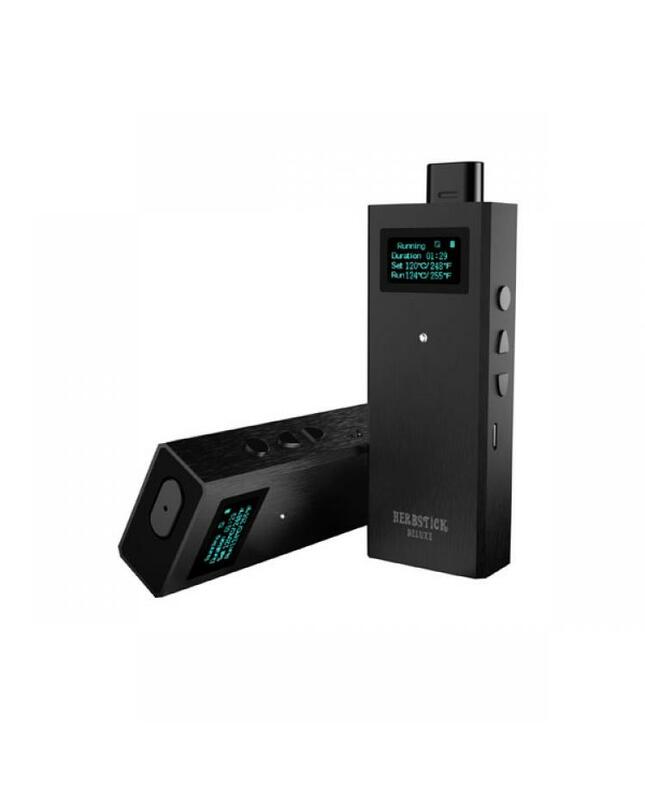 black color avaliable only, vibrating remind function, can be turned on or turned off by the user, motion sensor built-in for automatic heating, direct temperature control from 248F to 437F, retractable mouthpiece. press the enter button down for 3seconds to turn herbstick deluxe on, the indicator flashes 5times and then keep lighting on.shining color shows the power level of the battery. To set the working temperature, press the "+‘ button or "-" button to choose your preferred temperature. the lowest temperature is 120degree and max is 225degree,in 5degree increments.by pressing the enter button to confirm your setting, the set temp will be saved automatically, operating temperature displays below the set temp. 1. when the temperature reaches the set value. the device will automatically restart to heat to the set temp. 3.device is used over 8 mins, press the confirm button before or after vibration to enter the next cycle.